KIEV, November 29. /TASS/. Father Superior of the Kiev-Pechersk Lavra, Metropolitan Pavel complained about the pressure the authorities of Ukraine exerted on him and his brotherhood. "There are many questions about whether the actions of the authorities are legitimate. These actions are not legitimate, there is pressure on me, threats, phone calls and many other things. I cannot name the reasons, I do not know them," he said at a briefing in Thursday. The Metropolitan also said the authorities have initiated cases against him. "They accused me of wrong attitude towards Patriarch Bartholomew, the basis of religious misunderstandings But I treat him with great respect as a patriarch," the Father Superior of Lavra said. The metropolitan does not rule out that the authorities will put stronger pressure on him or even conduct searches. "I would not be surprised if there are searches and even more violence," he said. At the same time, the metropolitan said that he could not answer the question of who initiated the cases against him, since they are closed to the public. The Holy and Sacred Synod of the Ecumenical Patriarchate of Constantinople decided at its meeting held on October 9-11 to proceed with granting autocephaly to the Ukrainian Church. It revoked the 1686 decision on transferring the Kiev Metropolitanate under the jurisdiction of the Moscow Patriarchate and announced plans to bring it back under the jurisdiction of the Ecumenical Patriarchate. It also reinstated the heads of two non-canonical churches in Ukraine, Filaret of the Kiev Patriarchate and Makariy of the Ukrainian Autocephalous Church, to their hierarchical and priestly ranks. 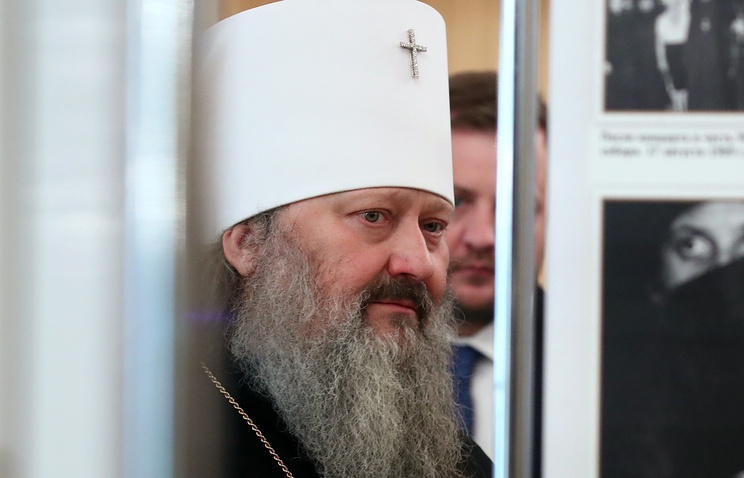 On October 15, the Holy Synod of the Russian Orthodox Church said in response to that move that full communion with the Ecumenical Patriarchate of Constantinople was no longer possible. On November 3, Patriarch Bartholomew of Constantinople and Ukrainian President Pyotr Poroshenko signed an agreement on cooperation to create an independent Ukrainian church. On November 13, the Council of Bishops of the canonical Ukrainian Orthodox Church said it will not join the Ukrainian autocephalous church the Ecumenical Patriarchate of Constantinople is seeking to create. The Bishop’s Council stated that the decisions of the Ecumenical Patriarchate of Constantinople on Ukraine are invalid.